Chances are you’ve heard about or were forced to read an ancient Greek epic called the Odyssey by Homer way back in high school. It’s one of the greatest pieces of ancient literature and it’s taught in a lot of schools today (though it might not be commonly taught in the Philippines). The hero of the epic is named Odysseus, known in Latin as Ulysses, and in one part of his journey he and his crew needed to pass by a dangerous rocky coast full of monsters. That region was filled with sirens, creatures who are part bird and part beautiful women, and their magical voices and songs tempt those who hear them to jump into the sea and drown near the rocky coast. What did Odysseus do to protect himself and his crew of sailors? He ordered his men to tie him to the mast of his ship and he told them that no matter how much he would cry and beg, they must never release him (he wanted to know what the sirens were singing about). He also had his crew plug their ears with beeswax so they themselves do not hear the sirens’ songs and be tempted to drown. As they sailed the coast, the sirens’ songs DID tempt Odysseus to jump off the ship (and drown), but he couldn’t do anything as he was tied tightly to the mast. That is how they safely sailed through the rocky coast and avoided death. Again, I first read about this in Dan Ariely’s Dollars and Sense book, and it’s so simple that, depending on how you interpret and use it, it will actually work. 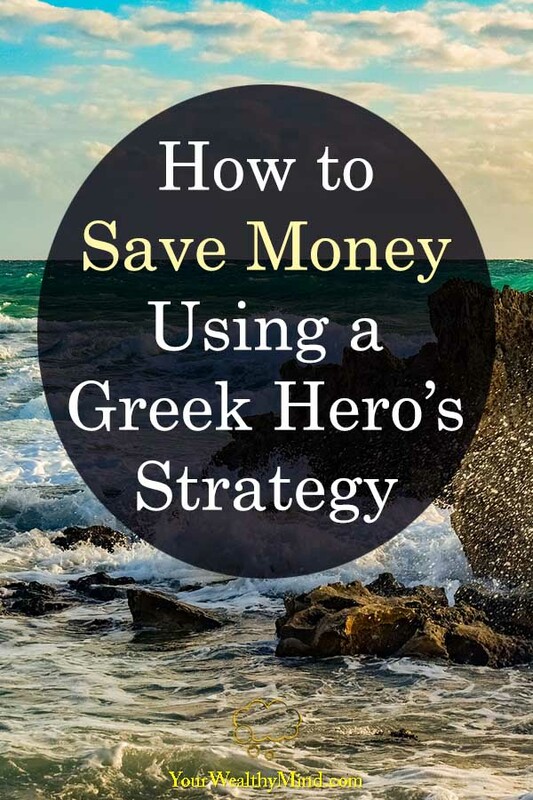 Similar to how Odysseus and his crew saved themselves by tying him to a mast and having the crewmembers plug their ears with beeswax, you can use a similar “strategy” to avoid spending money. Set a low limit on all your credit cards. After all, it’s difficult to get buried in a $100,000 high-interest credit card debt if your all your cards’ combined limit is just at $10,000. Use debit instead of credit. You can’t spend more than you earn and get into huge debt if your debit account goes empty after all. Use cash for most, if not all, of your transactions. You’ll feel the “pain” of paying (another lesson in Dan Ariely’s book), and you’ll be more conscious of the money leaving your wallet. There’s probably no harsher feeling than watching your wallet slowly empty itself for every transaction. Limit the amount of cash you bring with you. Aside from safeguarding against a huge loss if your wallet gets stolen (like people who carry their entire paycheck in their wallet), it also stops you from overspending. It’s more difficult to waste $500 on an unnecessary transaction if you only brought around $50 with you (or at least enough for the day’s commute and lunch). After receiving your paycheck, place money you’ve budgeted on secure and well-hidden envelopes or bank accounts. Label them with what you plan to use them for, like “investment account/retirement” (transfer this to your investment account ASAP), “insurance payment”, “utility bills”, “children’s tuition”, “emergency fund”, “travel”, or something else and seal them up. 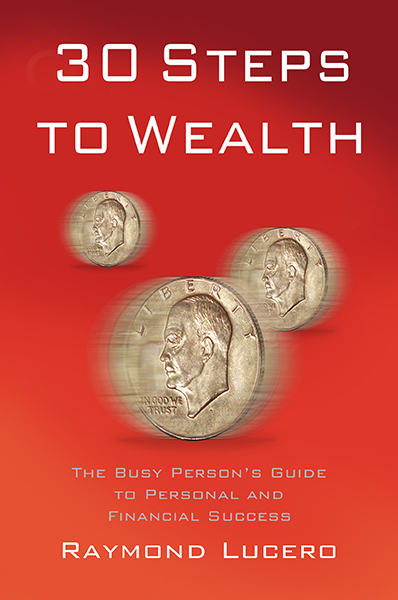 It’s more difficult to waste money if you know what you’re going to be sacrificing (there’s more on this earmarking strategy on Dan Ariely’s book). Alter your commute or schedule so that you pass by your favorite shopping malls or shopping websites less often. After all, you won’t be tempted to waste money when you actively avoid your main sources of temptation. There are lots of other ways you can stop yourself from wasting money, and those are just a few examples. Why don’t you try thinking of a few right now? Just try them for a few days or weeks, and soon you’ll make them a habit. By wasting less money and time on unnecessary expenses and shopping sprees, you’ll then have more time and resources for the things that are really important in life. Just try it out, one small positive change at a time, and see how far you can go. We’ll end this article here for now. Do you want to learn other valuable lessons? Try reading the other suggested articles below! Very good article Ray, thanks. I don’t even remember the last time I used a credit card because I don’t have one. I have 2 debit cards and that’s all I need. Thanks, and yeah, getting used to using credit will very likely put you in debt. Unlike paying with cash where you see money leaving your wallet or using debit where you can’t spend more than what you have in the bank, you don’t really “feel” the huge loss of money if you use credit. That’s also why I don’t have credit cards either and I use cash for most purchases. I do have debit cards for online purchases as well.